When you first get home, the first thing that you want to do is take your coat off, sit down and relax. That’s why we have coat racks on the hallway. They are very practical and some of them are more than functional. The Palm Coat Rack is a multifunctional piece. 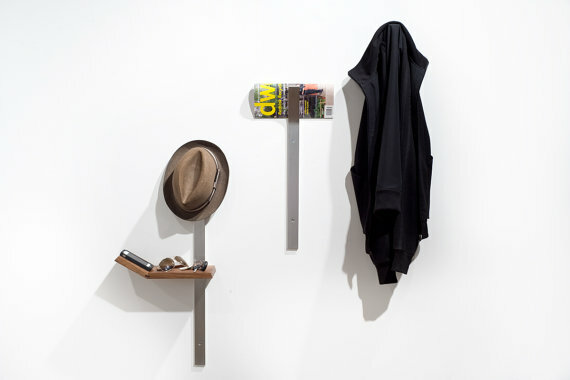 It can be used as a standard coat rack, in which case it simply holds your coat or bag, but it can also be used to temporarily store a magazine or paper. 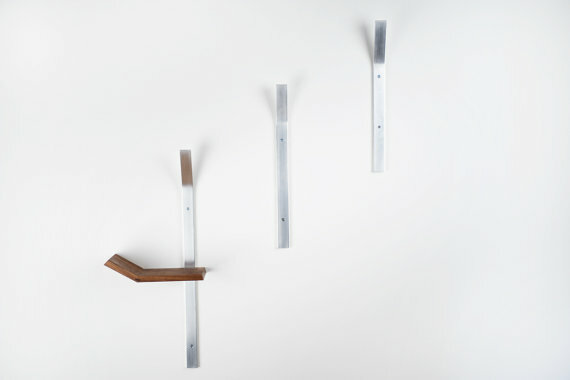 The Palm Coat Rack has a minimalist design and very sleek shape. 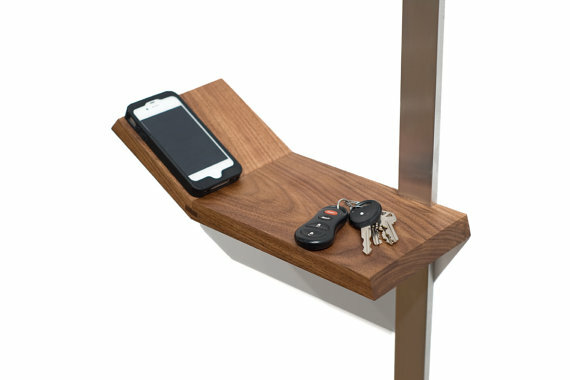 It was designed by SquaredFurniture and it’s available at etsy.com at the price of $200. The Palm Coat Rack requires no floor space so it’s also great for small homes. It comes as a set of three aluminum bars. These bars can be attached to the wall at the height and in the space you desire. The bars feature a bend at the top that can be used to hang coats and bags but also for other similar purposes as well. One of the three bars features a palm wood shelf. The shelf is quite small and measures 13”W x 5.5D”. The space is enough to store things such as keys, the phone, the wallet. It’s a place where you can put your phone while you get dressed and it’s also handy for the keys. The bars are sold as a set. Their dimensions are variable. You can choose from 20” x 1.5” x 3/8”, 22” x 1.5” x 3/8”, 31” x 1.5” x 3/8” but custom lengths are also available upon request.